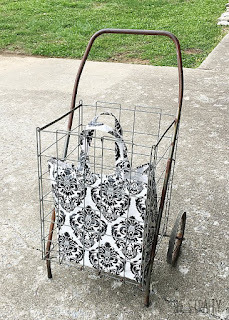 This is the perfect bag to take with you to the Flea Market or on any junkin' hunt! 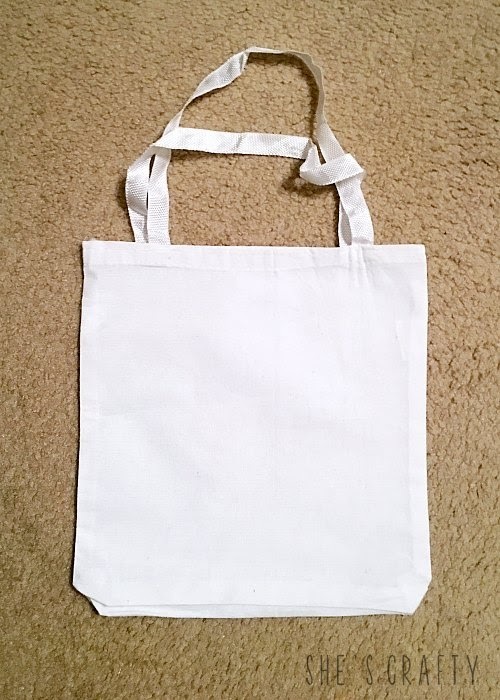 Cut a design from freezer paper and iron it onto the bag. See full tutorial for using freezer paper stencils here. 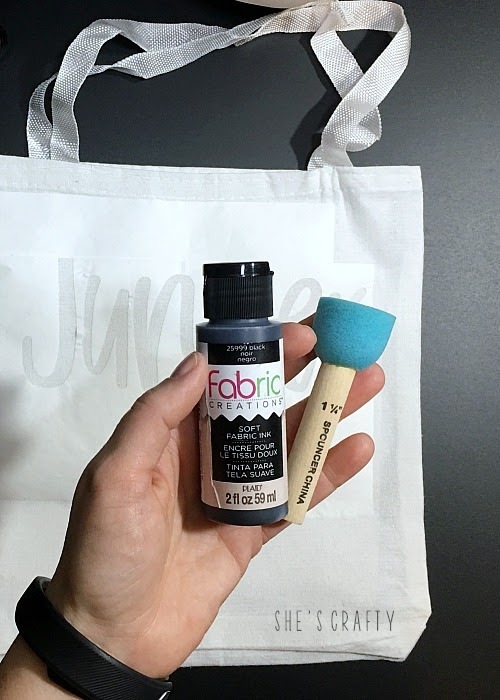 Use black fabric paint and a sponge pouncer to apply paint. After the paint dried, I sewed vintage buttons purchased from the Flea Market onto the bag. 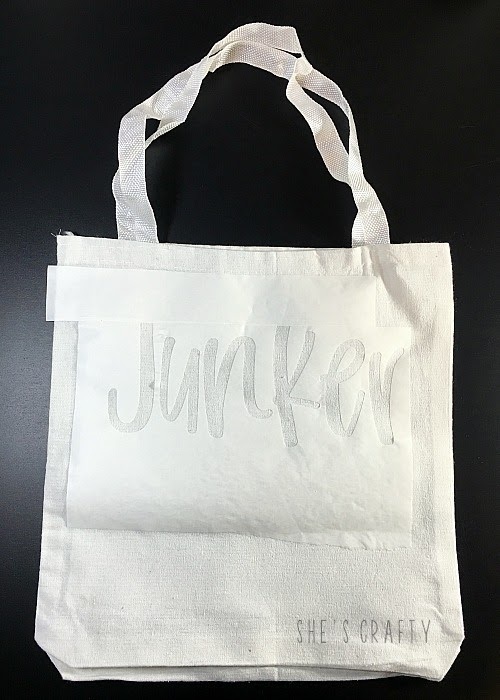 Now I have a Junker Tote Bag to take with me to the Nashville Flea Market! 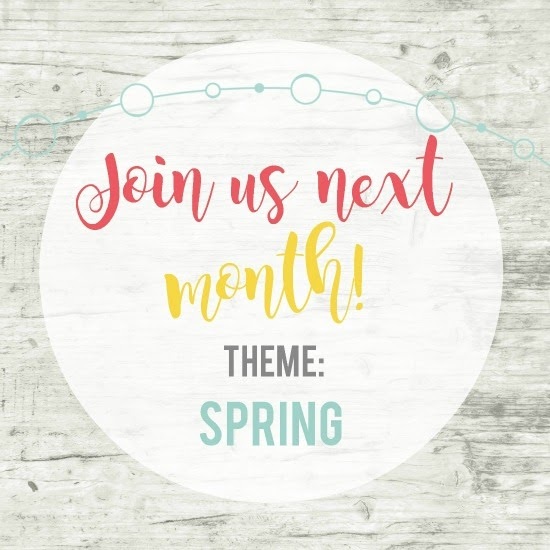 It's time for another month of Inspire My Creativity Link Party! Come back next month on the 2nd Wednesday of the month for Spring! This is such a simple project, but turned out SO cute. I love it! 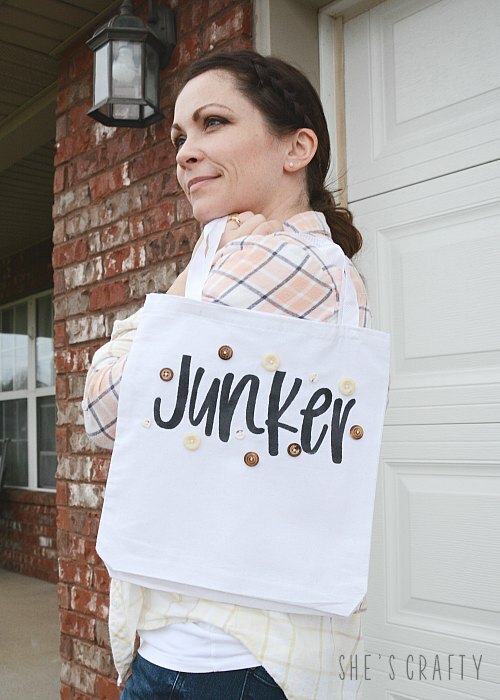 Adorable & a fun bag to put your "junker" treasures in. I'm always on the lookout for bags of buttons. Now I just need to go to the flea market and find some treasures!! Wonderful idea! Thank you so much for sharing it! Super cute tote! Love the freezer paper for a stencil... I need me a 'cutter'. Thank you so much for linking at Homestyle Gathering. 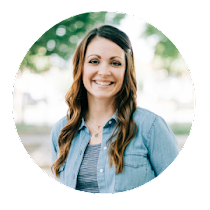 Hope to see you each week! This bag is darling! It would be perfect for taking on a run to the flea market. So cute with the buttons!